Kauai has led the healthy food movement in South Africa since its first store opened in Cape Town in 1996. 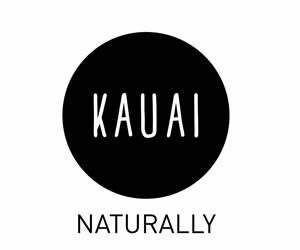 The brand has grown to more than 160 Kauai stores in South Africa and internationally, and has become a well-established brand amongst South Africa consumers over 22 years. Kauai`s mission remains the same: we make healthy food easy and accessible. The Real Foods Group Pty (ltd) acquired Kauai in 2015, and with their unmatched expertise in healthy, natural food as well as innovation, social responsibility and sustainability, they successfully re positioned the brand into the fast-growing fast casual segment, with renewed focus on quality, taste and health. Real Foods Group plans to continue introducing new and exciting menus, partnerships and developments to continue the growth trajectory. Kauai won prestigious 2018 FASA Franchisor Of The Year and 2018 Brand Builder Of The Year awards, as well as the 2018 Best Field Service Consultant in the industry, which is testament to our leadership in the fast casual dining and health space. There are various new and existing store opportunities throughout South Africa, including our Retail and In motion (inside Virgin Active health clubs) store formats. Please get in touch with us for a list and more information. Kauai franchisees have a passion for food and health. They are passionate, hard-working individuals with a strong service orientation and commitment to be hands on in their business. They understand and follow operational procedures, and enjoy leading and growing people. Intensive training is provided with experienced and dedicated trainers. 8 weeks of training is mandatory for all franchisees as it orientates the new franchisees on all aspects of business. The training and support team are dedicated in setting up and supporting all franchisees for success. Franchise Joining fees: R120 000.00 for Retail, and R70 000 for In Motion gym model (exc VAT). Working capital: R 50 000 (plus lease deposit). Minimum cash: From 50% of set up costs. Details of on-going fees and/or royalties: Royalty fee: 6%. Marketing fee: 4% (1.5% for In Motion when in a gym).